If you make your bed every morning, you will have accomplished the first task of the day. It will give you a small sense of pride and it will encourage you to do another task and another and another. By the end of the day, that one task completed will have turned into many tasks completed. Making your be will also reinforce the fact that little things in life matter. If you cannot do the little things right, you will never do the big things right. If you have already figured out your life and feel totally complete, then this book may not be for you. But if you are like the rest of us, every day presents a mountain of to-do items, jobs to go to, errands to run, projects to complete, meals to cook, children to raise . . . . You forge ahead and get it done, but you know that things are not as they should be. Even when you check ever item off your daily list, you still feel as though something meaningful and essential is missing from the very center of your life. Explore a dimension of Washington, D.C., most tourists never see with this unique guide to the religious imagery and art contained in our most famous public monuments and buildings. 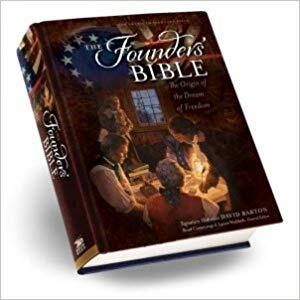 Discover the fundamental Christian principles literally carved in stone cone by our Founding Fathers. Trace the conjoined history of our nation and our salvation. Uncover the heroes of the Catholic Faith immortalized in the U.S. Capitol. Examine some of the finest religious art in the world. On a Wall Frieze in the Supreme Court are engraved allegorical figures who represent the struggle between the powers of good and evil. Standing on the left side of Justice are Wisdom, Evil, Slander, Deception and Despotic Power. On the right side of Divine Inspiration are Truth, Defender of Virtue, Charity, Peace, Harmony and Security. Nobel Peace Prize Laureates His Holiness the Dalai Lama and Archbishop Desmond Tutu have survived more than fifty years of exile and the soul-crushing violence of oppression. Despite their hardships ---or, as they put it, because of them --- they are two of the most joyful people on the planet. In April 2015, Archbishop Tutu traveled to the Dalai Llama’s home in Dharamsala, India to celebrate His Holiness’s eightieth birthday and to create what they hoped would be a gift for others. They looked back on their long lives to answer a single burning question: How do we find joy in the face of life’s inevitable suffering? We get to listen in as the explore the Nature of True Joy and confront each of the Obstacles to joy ---from fear, stress, and anger to grief, illness, and death. They then offer us the Eight Pillars of joy, which provided the foundation for lasting happiness. Finally, they share the daily joy Practices that anchor their own emotional and spiritual lives. As our dialogue progressed, we converged on eight pillars of joy. Four were qualities of the mind: perspective, humility, humor and acceptance. Four were qualities of the heart: forgiveness, gratitude, compassion and generosity. After the long period of cultural decline known as the Dark Ages, Europe experienced a rebirth of scholarship, art, literature, philosophy, and science and began to develop a vision of Western society that remains at the heart of the Western civilization today. By placing the image of the Virgin Mary at the center of their churches and their lives, medieval people exalted womanhood to a level unknown in any previous society. For the first time, men began to treat women with dignity, and women took up professions that had always been closed to them. The communion bread, believed to be the body of Jesus, encouraged the formulation of new questions of philosophy. Could reality be so fluid that one substance could be transformed in to another? Could mud become gold, as alchemists believed? These new questions pushed the minds of medieval thinkers toward what would become modern science. Artists began to ask themselves similar questions: How can we depict the human anatomy so that it looks real to the viewer? How can we depict motion in a composition that never moves? How can two dimensions appear to be three? Medieval artists (and writers, too) invented the Western tradition of realism? Rome, the intellectually explosive Paris of Peter Abelard and Thomas Aquinas, the hotbed of scientific study that was Oxford, and the incomparable Florence of Dante and Giotto --- Cahill brilliantly captures the spirit of experimentation, the colorful pageantry, and passionate pursuit of knowledge that built the foundations for the modern world. Like Thomas Aquinas, Roger Bacon studied under Albert the Great and taught for a while at Paris (when Aquinas was there), but it is with Oxford and its heralded spirit on no-nonsense practicality and experimental positivism that he will ever be associated. Bacon took the great Dominican enshrinement of reason and brought it a step further. Reasoning he wrote draws a conclusion and makes us grant the conclusion, but does not make the conclusion certain, nor does it remove doubt so that the mind may rest on the intuition of truth --- unless the mind discovers it by the path of experience. Bacon then imagines a man coming upon the phenomenon of fire for the first time. The man might by reason arrive at the conclusion that fire burns, injures, and destroys. But this reasoning would not in itself tell him all we know about fire. He would need to put his hand in it, or, if not his hand, some combustible substance, and prove by experience what reasoning teaches. But when he has had the actual experience of combustion, his mind is made certain and rests in the full light of truth. Therefore, concludes Bacon axiomatically, reasoning does not suffice, but experience does. Experience, by way of observation and experiment, beats unaided reason every time. Reason is necessary; we cannot function without it. But only experience can confirm what reason proposes. Albert had already taken a turn in this direction, declaring that in many matters Experimentum solum certificate. (Experiment ---or experience --- alone gives certainty). But though, Albert was for his time a great botanist, cataloguing and accurately describing a staggering profusion of trees, plants, and herbs, it would fall to his English pupil to embark upon seas of experience previously uncharted. Everyone looks for an edge in this complex world --- some specific knowledge, skill, or possession that will bring us success. It motivates our pursuit of wealth, acceptance, and prestige. It encourages us to take up with gurus or engage the latest health fad. In author Gene Hemrick’s view, however, to search for this special something “out there” is futile. Yes, virtue. But not virtue as we usually think of it. The Promise of Virtue is a wonderful meditation in which the author identifies and introduces us to such virtues as humor, kindness, and silence. The result say Scott Appleby in his Foreword is “an utterly practical resource for personal spiritual formation. But The Promise of Virtue is much more than simply a meditation. Hemrick not only puts a recognizable face on virtue, he argues persuasively that our faces must reflect virtue for the common good. The result is a powerful and eloquent antidote to the fragmedentation of our churches and communities. Kindness simply defined means being well disposed toward life --- we are thankful for it, welcome it, look forward to living it, and see mostly beauty in it. When we look it up in the thesaurus, other words that describe it are: benevolence, compassion, good will, generosity, altruism, and goodness. In the scriptures it translates into unconditional love, civility, promoting others, tough love, and giving without counting the cost. The Declaration announced American intolerance for the denial of natural rights, and the Constitution gave form to a government in which the law would be in the service of “the blessings of liberty.” As James Madison explained, “If men were angels, no government would be necessary. If angels were to govern men, neither external or internal controls on government would be necessary. In framing a government which is to be administered by men over men, the great difficulty lies in this: you must first enable the government to control the governed: and in the next place oblige it to control itself.” Rooted in this sober understanding of human nature, the American solution to the enduring problem of self-government is among the greatest political accomplishments in human history. Three very definite propositions were set out in the preamble of the Declaration of Independence’s preamble regarding the nature of mankind and therefore of government. These were the doctrine that all men are created equal, that they are endowed with certain inalienable rights, and that therefore the source of the just powers of government must be derived from the consent of the governed. If no one is to be accounted as born into a superior stations, if there is to be no ruling class, and if all possess rights which can neither be bartered away nor taken from them by earthly power, it follows as a matter of course that the practical authority of the Government has to rest on the consent of the governed. While these principles were not altogether new in political action, they had never been assembled before and declared in such a combination. But remarkable as this may be, it is not the chief distinction of the Declaration of Independence. The importance of political speculation is not to be underestimated, as I shall presently disclose. Until the idea is developed and the plan made there can be no action. Revenge doesn’t always follow resentment, but lifelong grudges can. As a child I would sometimes voice my resentments repeatedly. The third time around my mother would say to me, “That’s an old canzone --- an old song. Turn over the record and let life begin anew!” Despite knowing that deep-seated resentments are wrong, it is difficult to turn over that record. The word “bitterness” comes from “bite.” When we are bitten we are injured, and like an injured beast, we retaliate. … What might be a good lesson in combating resentment? The revered theologian Karl Rahner would remind us, “Remember we are less than perfect!” One of the major blocks to curing resentments is self-righteousness, the feeling that we are above reproach and hence don’t deserve affliction. In these cases, Rahner would tell us to remember that as we have been injured by others, so too, have we injured others. Once we humbly admit this, it is easier to let go of resentments. 5. What if we were healthier?